WMO Jamborees are held on the second Saturday of every month (except September) in the Cabin on the Wheatland Music site from 2pm till 5pm. 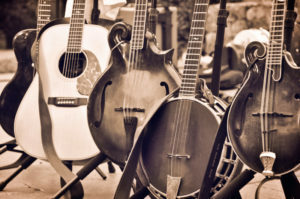 This informal gathering of acoustic musicians is free of charge and open to the public. Musicians of all levels and abilities are welcome to participate! So whether you’re just starting out, have been playing for years, or just want to listen to some tunes: A Saturday afternoon of music at Wheatland is welcoming you.